(UPDATED 2/22/17) The Public Company Accounting Oversight Board has launched a searchable database called AuditorSearch, by which members of the public can view the names of Engagement Partners. The information, which is being updated daily and expected to be complete by April, as audit firms file this newly required information on PCAOB Form AP, currently discloses Engagement Partners for more than 300 firms, from A (with the most well-known company among the A’s being Alphabet, Inc.: Engagement Partner EY’s Andrew Cotton) to Z (Zillow: Engagement Partner EY’s Oren Lang-Furr). The PCAOB’s requirement that audit firms disclose the name of Engagement Partners became effective this year, for audit reports issued on or after January 31, 2017. 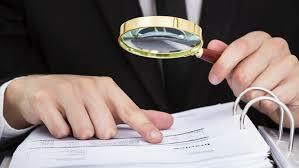 Another major disclosure requirement, the disclosure of other accounting firms participating in the audit, will be required for audit reports issued on or after June 30, 2017. Audit firms may also voluntarily disclose this information in the auditor’s report included with issuer’s Form 10-K filed with the SEC. Learn more about this new audit firm disclosure requirement from the PCAOB’s Form AP Resource Page; access the PCAOB’s AuditorSearch database. CORRECTION: An earlier version of this post incorrectly referred to a ‘second named partner’ in the full information provided by AuditorSearch; the other partner whose name is listed in PCAOB’s AuditorSearch database is the partner that signs/certifies Form AP (the name appearing on the last page of Form AP); that partner does not necessarily have anything to do with the particular engagement(s) for which they sign Form AP.